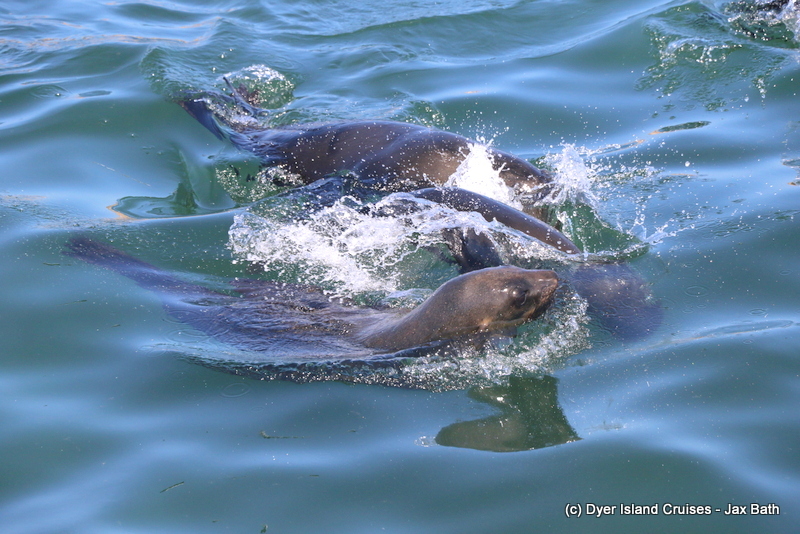 The weather has been absolutely awesome over the last while, so we’ve been having a lovely time exploring the bay. Today’s trip started off with a little mist, which seemed to stick to the outskirts of the bay, as well as the edges of the land. This made the whole area look especially picturesque and really brought out the turquoise colour of the water in The Shallows. We took our usual route, scouting out the breakers before waiting for our sister company to get back to their cage diving. 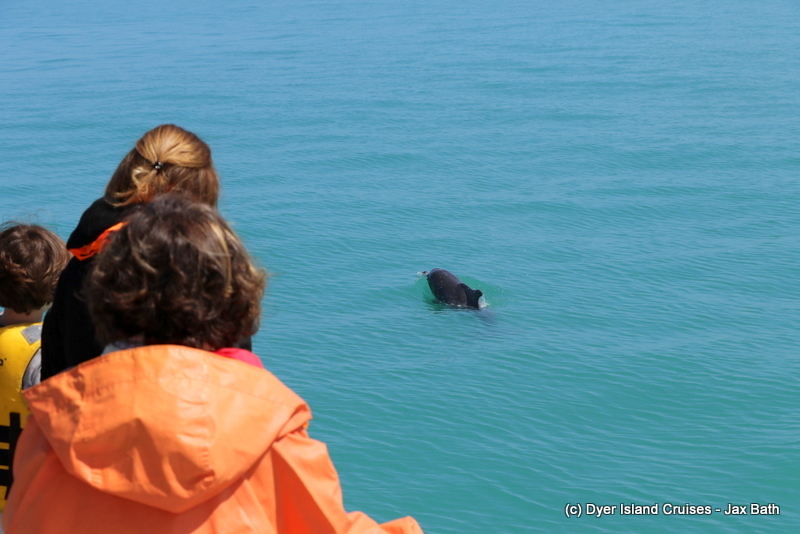 We waited here for a bit in the hopes of spotting a golden creature, the Copper Shark. Our patience paid off and we got to see the shark surface beautifully, dorsal fin and all as it investigated the bait line. 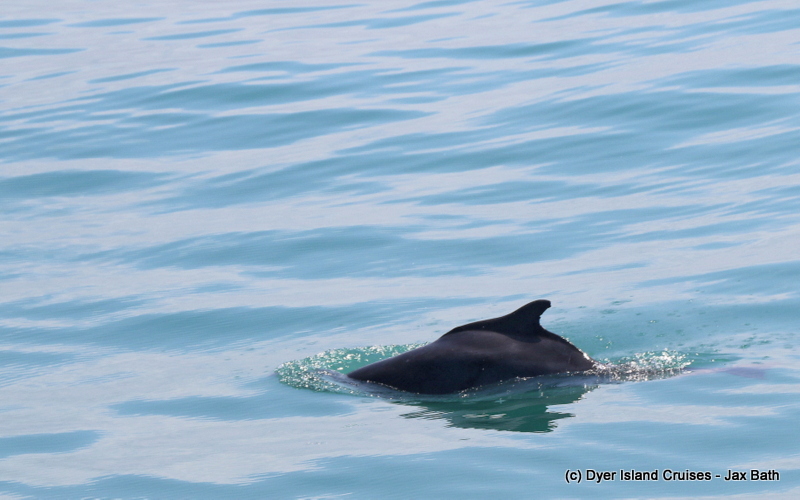 At this time, Eduard spotted a dorsal fin of another kind, when an Indian Ocean Humpback Dolphin popped up a little further away. 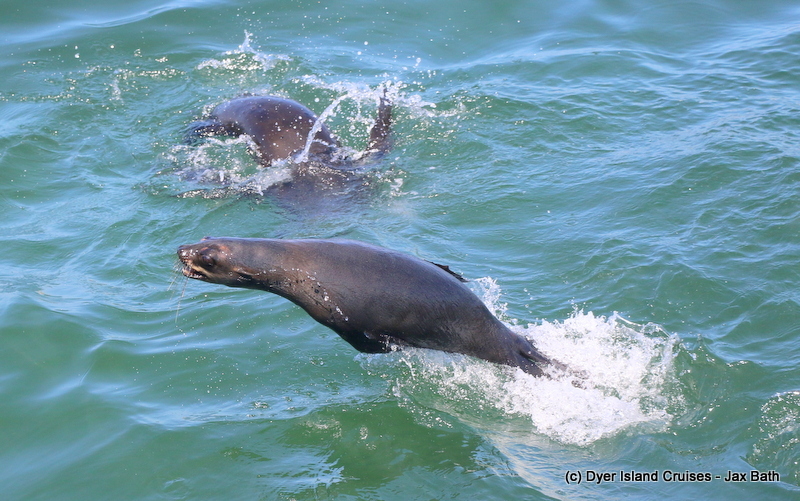 We decided to move in a little closer, spending some time with South Africa’s rarest cetacean. This dolphin was in very shallow water when we first spotted it, but luckily, he came out a bit deeper to give us an excellent view. 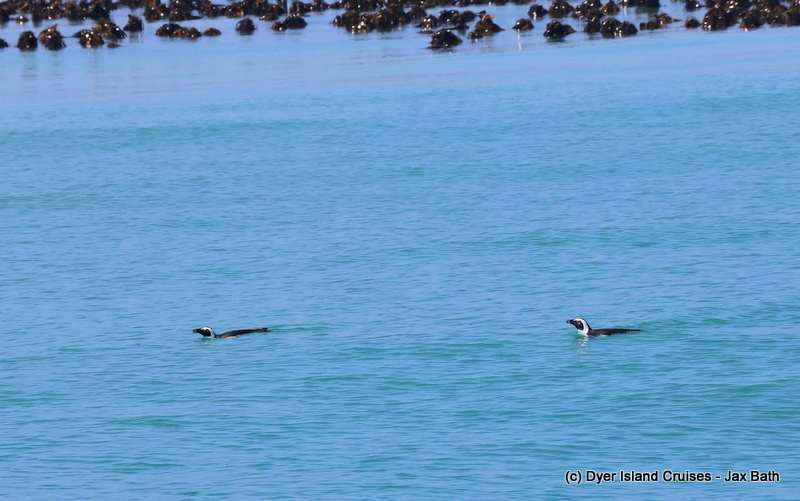 We spotted two African Penguins next, travelling along and eventually disappearing into the kelp forests of The Clyde. These birds were super relaxed, spending lots of time at the surface and ensuring that we got a lovely view of this endemic species. 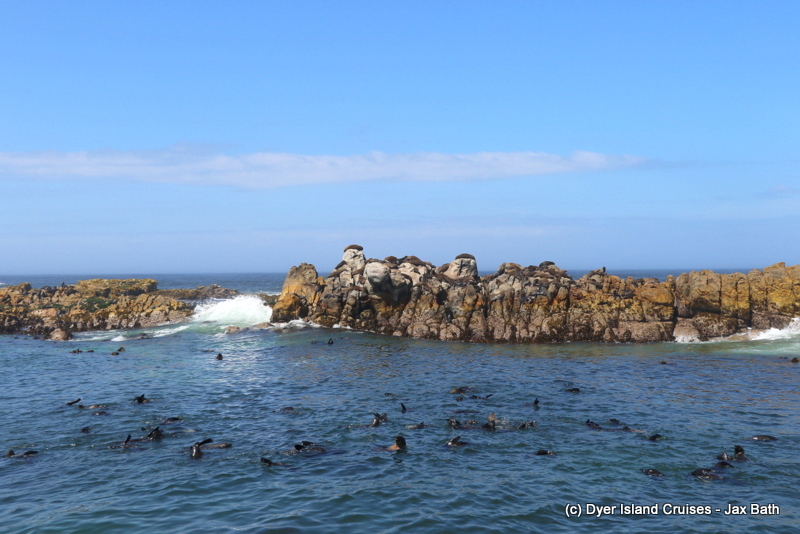 We stopped at our islands next, at Dyer and then Geyser Rock where we got to take in the sights, smells and sounds of our Cape Fur Seals. 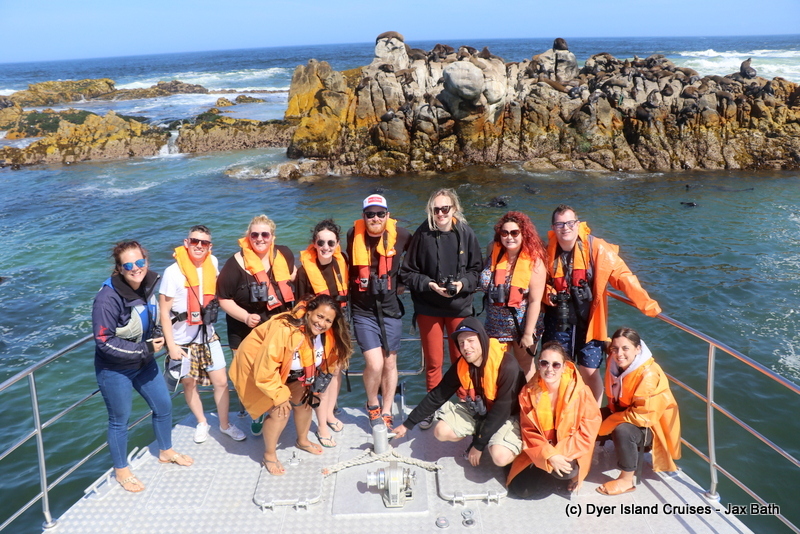 After this, we head into the deep sea and around Danger Point to anchor in Gansbaai harbour. Enjoying the water on a warm summer’s day. 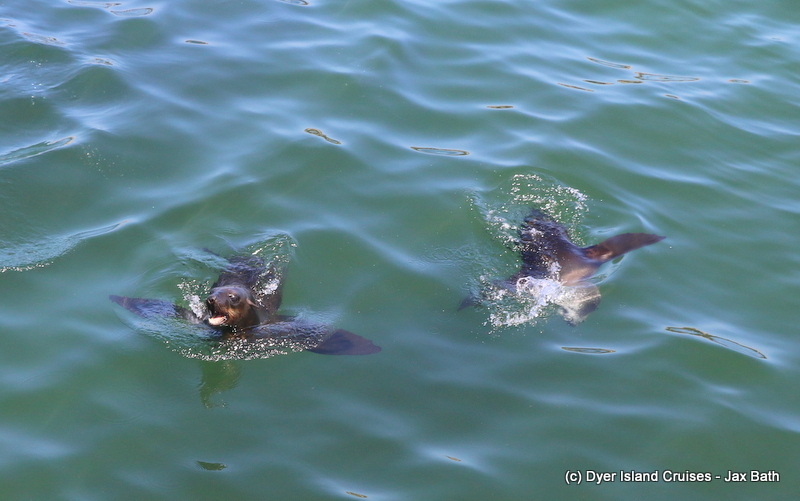 A gang of jumping seals coming up from behind and showing off their skills. This cheeky little guy was checking us out. In for a closer look at Dream Catcher. 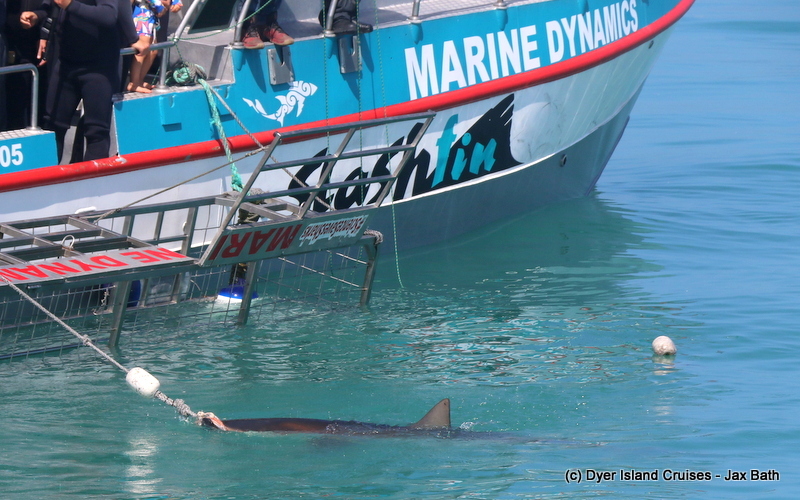 A Copper shark at Slashfin. 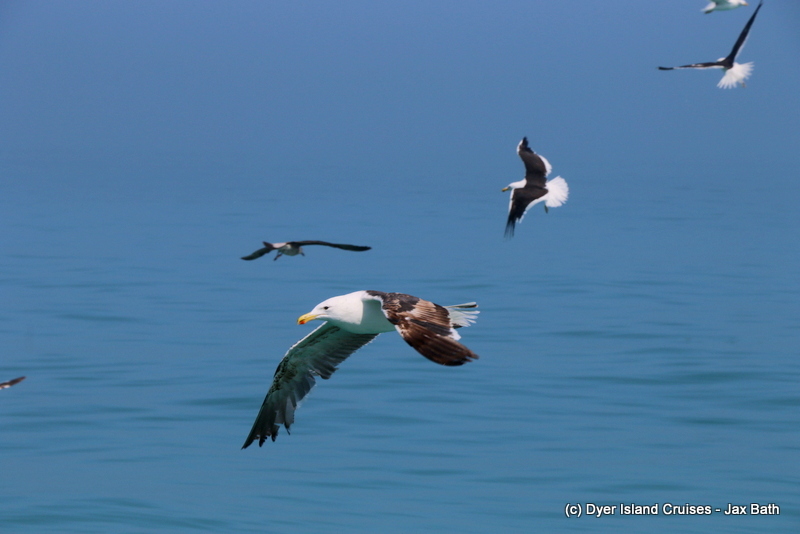 Some Kelp Gulls hanging about. A lone Indian Ocean Humpback Dolphin. 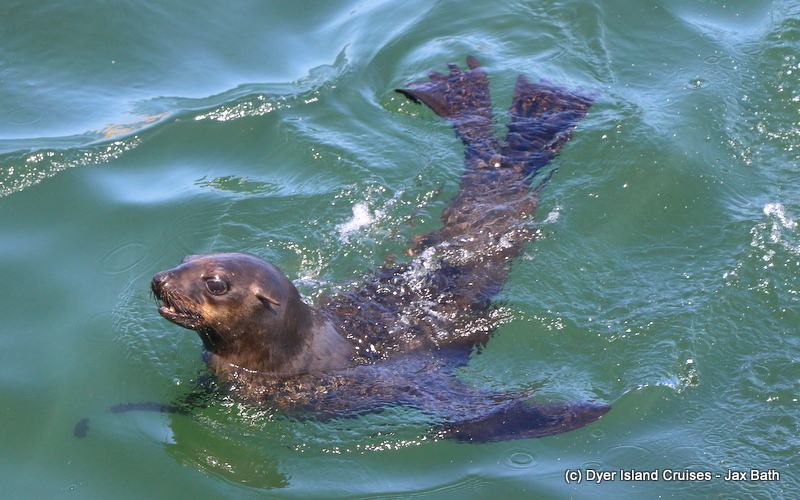 As we were about to leave, we got one close pass from this lovely creature. 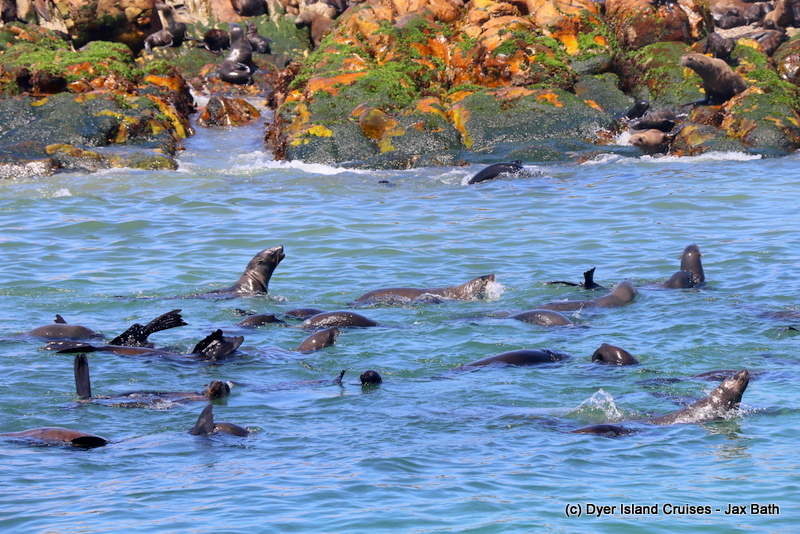 The Cape Fur Seals of Hospital Rock.